What do you do when you for some reason are not able to or don’t want to drive your car to a place? 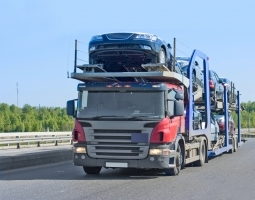 You take help of the storage and moving companies to safely transport your car to the required destination. However, before gearing up for the move, have you ensured necessary precautions to prevent any damage to your car? If not, then read on and act now. You should check your car for bruises before letting it into the moving container. This is important so that you know your car has not suffered a new damage after it reaches the destination. Also inform your storage manager about it and discuss the scenario. Check for a clause that allows for remuneration lest any damage is caused to the car. It is extremely important to remove all kinds of mobile items from your car. It includes everything from antennas and radio to items that you think are liable to move around and keep hitting the car’s surface from within. Movers & Packers In Qatar strongly recommends everyone on the move to enjoy the journey. It cheers you and your friends or relatives who are joining you a great deal!